The automated weld quality assurance can improve efficiency and productivity. 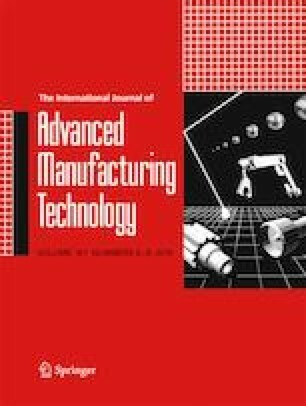 This paper presents the development of real-time weld quality assurance approach for gas tungsten arc welding (GTAW) using acoustic emission (AE) and air-coupled ultrasonic testing (UT). The major weld defect of interest in this paper is burn through, that is, melting through the base metal during welding that creates a hole/gap. The in situ monitoring system evaluates the changes in weld size leading to burn through by changing the weld heat input. Different categories of burn through are defined that include melting of the back of the plate without any molten metal exiting to formation of a hole in the plate. It is demonstrated that complete air-coupled UT cannot be used simultaneously with welding due to the influence of the magnetic field that develops in the weld torch during welding, which weakens the ultrasonic signal. Consequently, a rolling UT transmitter is combined with air-coupled UT receiver to increase the signal/noise value. Wave dispersion is detected due to the different levels of burn through. While UT method provides quantitative information about the weld state, any localized surface discontinuity causes sudden surges in the AE energy indicating non-uniform welding qualitatively. It is concluded that passive and active nondestructive evaluation methods should be combined to monitor weld quality real time for qualitative and quantitative assessment. This work was performed with support in part by the Department of the Army through the Digital Manufacturing and Design Innovation Institute under project DMDII 15-14-03 titled as “Intelligent Welding: Real Time Monitoring, Diagnosis, and Decision using Multi-sensor and Machine Learning.” The support from the sponsoring organizations is gratefully acknowledged. The authors would like to thank ITW (Illinois ToolWorks) Miller for proving welding equipment and the data acquisition system and David Pivonka for his valuable input into the experimental design. Any opinions, findings, and conclusions or recommendations expressed in this paper are those of the authors and do not necessarily reflect the views of the organizations acknowledged above.